Waterlust Sailing Canoe 17' 0" 115 lbs. 36 in. 400 lbs. 4" 32" 80 sq ft. 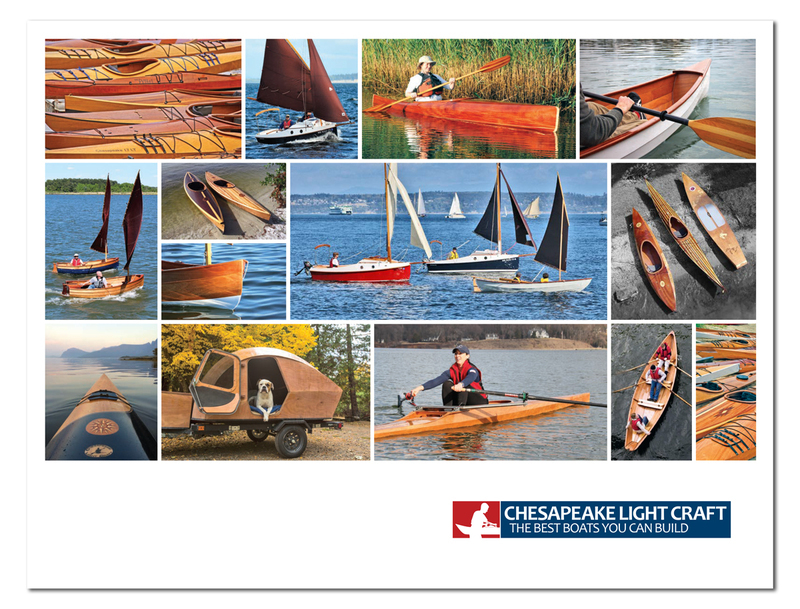 In the summer of 2016 Chesapeake Light Craft partnered with the filmmaking team Waterlust to design and build a pair of 17-foot sailing canoes. Waterlust - Patrick Rynne, Fiona Graham, Laura Graham, and Jennah Caster - then embarked on a 1,000-mile expedition down the Intracoastal Waterway (ICW) in the finished canoes, from Norfolk to their home base in Miami, Florida. The boats were drawn for Waterlust by CLC's own Dillon Majoros. The design takes its cues from classic sailing canoes of the late 19th century. Dillon has added a higher volume hull with fuller ends for increased carrying capacity, stability, and performance under sail. The hull design includes watertight compartments fore and aft, watertight storage forward of cockpit, and stowage bins port and starboard in the cockpit that double as support rails for the seat. The cockpit extends under the aft deck, and may be used as a berth for the crew. The boat is powered by a yawl rig, which is traditional to the type and easy to manage, too. Among the more unique features of the design is an integrated Hobie Mirage Drive for auxiliary power. This drops into a trunk in the cockpit. 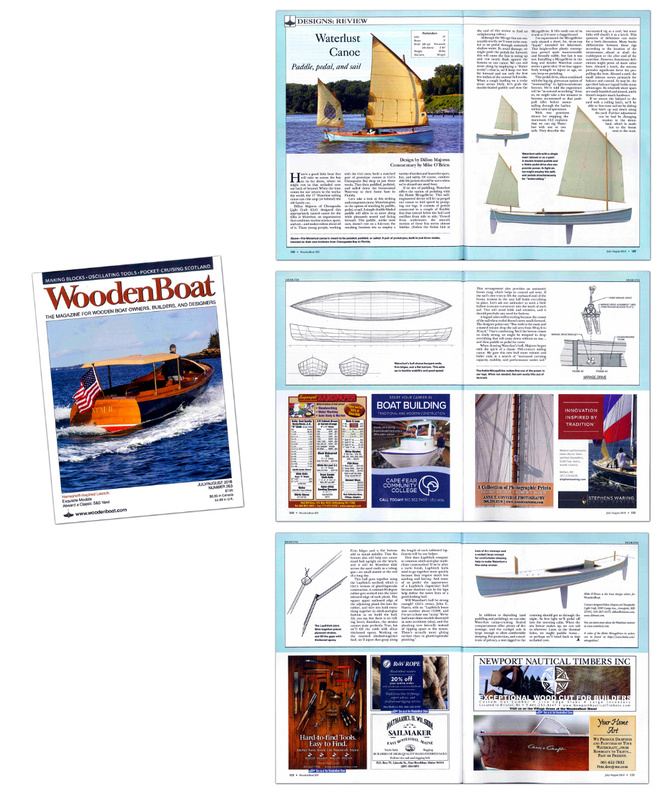 Kits for these proven sailing canoes are available now. Based in Miami, FL, Waterlust is a unique venture which combines marine science, sport, and art, and then makes incredible videos about it. Inspired by their experience creating a film about the 2015 Race to Alaska, the Waterlust team wanted to do something of a similar scale but with a less frenetic pace than a race and less challenging to film than an offshore race through the wilderness. They opted for a coastal expedition. CLC's reputation for innovative smallcraft designs seemed like a good fit for their itinerary, and a partnership was formed. 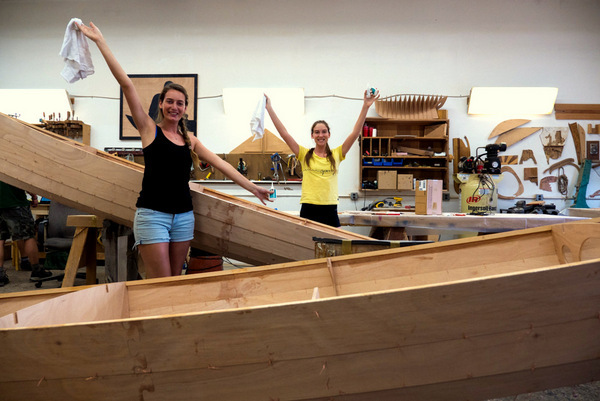 In July 2016 a matched pair of 17-foot sailing canoes were built, finished, and rigged in a marathon three weeks at CLC's factory in Annapolis, Maryland. The Waterlust crew set off for Miami in August 2016, cameras rolling. The long coastal trip was a perfect trial for the new design. They minded the weather, as sailing canoe voyagers do, including the menacing Hurricane Hermine, but encountered few issues during the trip. It is even possible for a single adult to sleep in the cockpit. By pedantic definition the Waterlust Sailing Canoe is a cat-ketch, though in spirit it is a cat-yawl. (The mainsail provides most of the drive while the mizzen adds balance and offwind power.) Those living in windy conditions may opt to set the main mast a bit further back and eliminate the mizzen. The boats are fast and close-winded under sail. Stability is surprisingly solid, though as in any sailing canoe you'll not want to cleat the mainsheet! 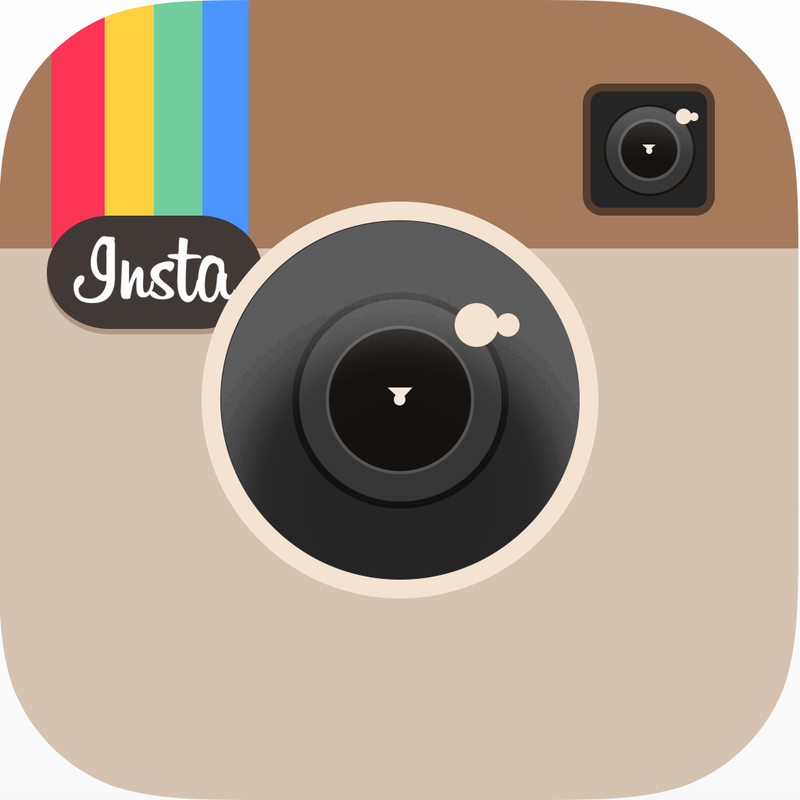 Construction is stitch-and-glue using CLC's LapStitch™ process. Computer-cut marine plywood panels are stitched together, forming the hull in a matter of hours. 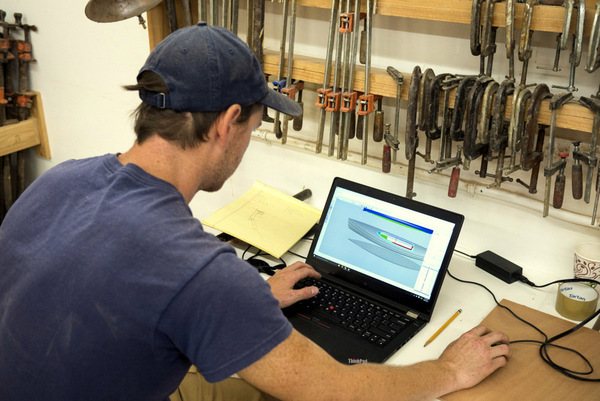 Sub-assemblies such as the Mirage Drive trunk and daggerboard trunk are built on the bench and dropped into the hull to be secured with epoxy fillets. Plenty of fiberglass cloth reinforcement and saturating coats of epoxy yield a stiff, rugged hull that weighs just about 80lbs. Fully rigged, the Waterlust Sailing Canoe weighs about 115 pounds.